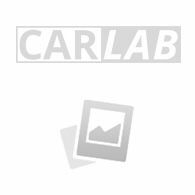 Mercedes A-Class W177 2018- boot mat. A ready to fit boot mat to prevent damage to your trunk lining. The boot mats are custom made for your car and have a perfect fit. These plastic boot mats are perfect for transporting wet and dirty articles that can pollute your trunk. They are also ideal if you want to take your dog with you in the car after a long walk in the woods. The boot mat is shaped so that the dirt and moisture remains inside the mat. The car stays neat and the original lining is not polluted. The mats have an anti-slip rubber layer so for example your shopping crates will not shift. 1. Thick raised edge which contains dirt and water inside the boot mat. The installation of the boot mat is pretty straightforward. If you would like to have help when installing your boot mat you can always go to an AutoStyle dealer.